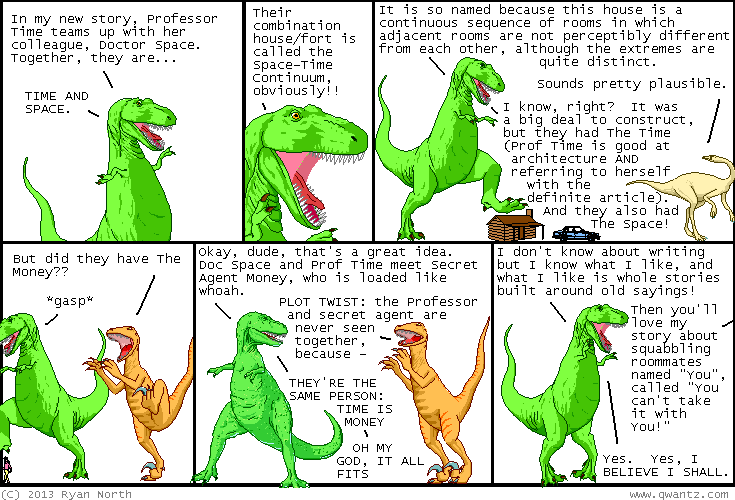 Dinosaur Comics - August 7th, 2013 - awesome fun times! August 7th, 2013: A Softer World posted their 1000th update yesterday and to celebrate they did a new comic every hour! The comics told the story of a relationship, from start to finish. You can read them all here!